A gift of golden sunlight. Happy Valentine’s Day. Anne. 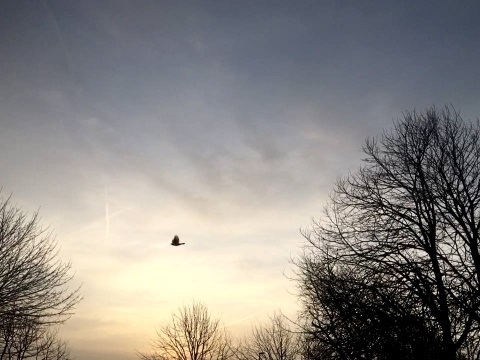 14th February 2019.
what a gift of a dawn. 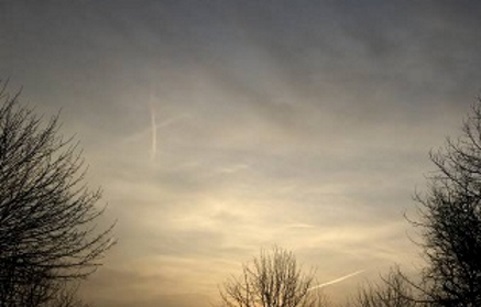 Ever changing sky this morning. Clear skies to misty sunrise. Jonathan Seagull on patrol again and Billy blackbird was serenading from early dawn. Valentine’s day is when people show their affection for another person by sending cards, flowers or chocolates with messages of love. Tradition says that this is the day that birds start to pair up and build nests, which added to the idea Valentine’s Day should be a day for romance. Valentine greetings were popular as far back as the Middle Ages, though written Valentines didn’t begin to appear until after 1400. The oldest known valentine still in existence today was a poem written in 1415 by Charles, Duke of Orleans, to his wife while he was imprisoned in the Tower of London following his capture at the Battle of Agincourt. 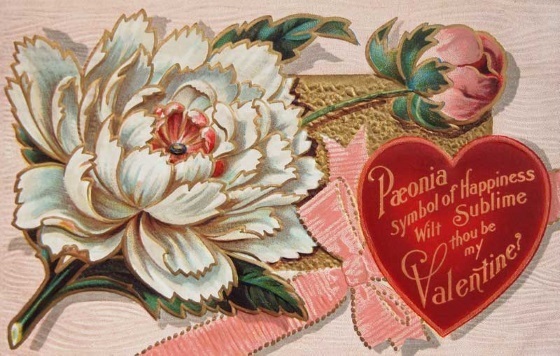 By the middle of the 18th century it was common for friends and lovers of all social classes to exchange small tokens of affection or handwritten notes, and by 1900 printed cards began to replace written letters. The feast is thought to have originated from a Roman festival called Lupercalia which was officially the start of their springtime. Lupercalia was a fertility festival dedicated to Faunus, the Roman god of agriculture, as well as to the Roman founders Romulus and Remus. To begin the festival, members of the Luperci, an order of Roman priests, would gather at a sacred cave where the infants Romulus and Remus, the founders of Rome, were believed to have been cared for by a she-wolf or lupa. The priests would sacrifice a goat, for fertility, and a dog, for purification. They would then strip the goat’s hide into strips, dip them into the sacrificial blood and take to the streets, gently slapping both women and crop fields with the goat hide. Far from being fearful, Roman women welcomed the touch of the hides because it was believed to make them more fertile in the coming year. Later in the day, according to legend, all the young women in the city would place their names in a big urn. The city’s bachelors would each choose a name and become paired for the year with his chosen woman. These matches often ended in marriage. Later on, at the end of the 5th century, Pope Gelasius turned this festival into a Christian celebration declaring 14th February to be St. Valentine’s Day. The day gets its name from a famous saint, but there are several stories of who he was. The name Valentine comes from Valentinus”—from the Latin word for worthy, strong or powerful. Valentine is the patron saint of beekeepers, epilepsy and safe travelling and also protects from the plague, and fainting. He is also the patron saint of engaged couples and happy marriages. The St. Valentine who inspired the holiday may have been two different men. Officially recognized by the Roman Catholic Church, St. Valentine is known to be a real person who died around 270 A.D.
One account from the 1400s describes Valentine as a temple priest who was beheaded near Rome by the emperor Claudius II for helping Christian couples wed. A different account claims Valentine was the Bishop of Terni, also martyred by Claudius II on the outskirts of Rome. Because of the similarities of these accounts, it’s thought they may refer to the same person. According to one legend, an imprisoned Valentine actually sent the first “valentine” greeting himself after he fell in love with a young girl–possibly his jailor’s daughter – who visited him during his confinement. Before his death, it is alleged that he wrote her a letter signed “From your Valentine,” an expression that is still in use today. The flower-adorned skull of St. Valentine is on display in the Basilica of Santa Maria in Cosmedin, Rome. 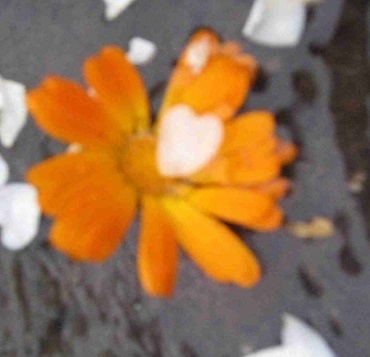 Many flowers have heart shaped petals. 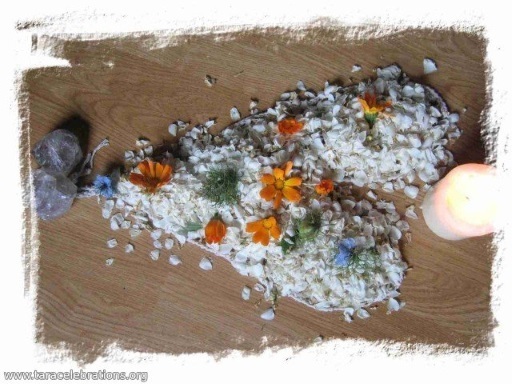 A healing heart mandala of flower petals created at Tara for Summer Solstice 2008. You’ll find other bits of St. Valentine’s skeleton on display in the Czech Republic, Ireland, Scotland, England and France. In 1835 an Irish Carmelite priest, Fr. John Spratt, used his Irish charm to convince Pope Gregory XVI to dig up St. Valentine’s remains and take them home as a gift to his fellow Irishmen and women. It was not uncommon at the beginning of the 19th century for local churches around the world to be given relics taken from the catacombs in Rome. Since other places also claim to have relics of St Valentine, perhaps not all the skeleton is in Whitefriar’s Street, Dublin. Today the shrine is popular with couples who come to pray for St. Valentine to watch over their lives together, and to celebrate the feast day of 14th February which includes the Blessings of the Rings for those about to marry. The reliquary is placed on the high altar and venerated at the Masses.